One of the most beautiful travel experiences I’ve had was a visit to a Syrian refugee camp in Iraq. While there, I was able to help improve — even by just a small amount — the situation of those suffering one of the worst humanitarian crises in our history. The camp I went to is called Darashakran. It’s about 40km north of the Kurdish capital, Erbil, where there are several refugee camps. The majority of these camps have been operating since the beginning of the Syrian Civil War, which is now in its sixth year. 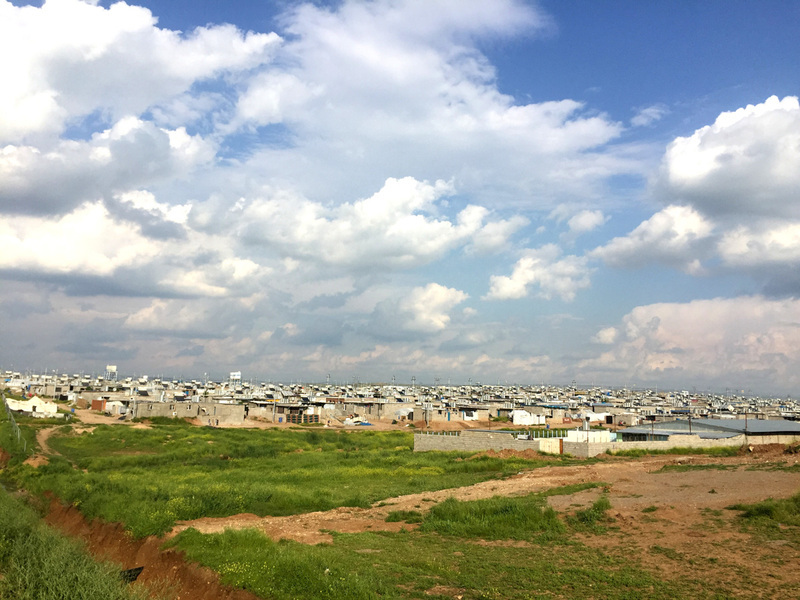 More than 50,000 Syrian refugees (a mix of Sunnis and Kurds) live in this Darashakran camp and its population has increased constantly since it was set-up four years ago. Darashakran is basically a small city. And yeah, it’s damn crazy. My objective of going to Darashakran was not only to find out how refugees were living but to provide them with any kind of food or supplies that might be useful to them. 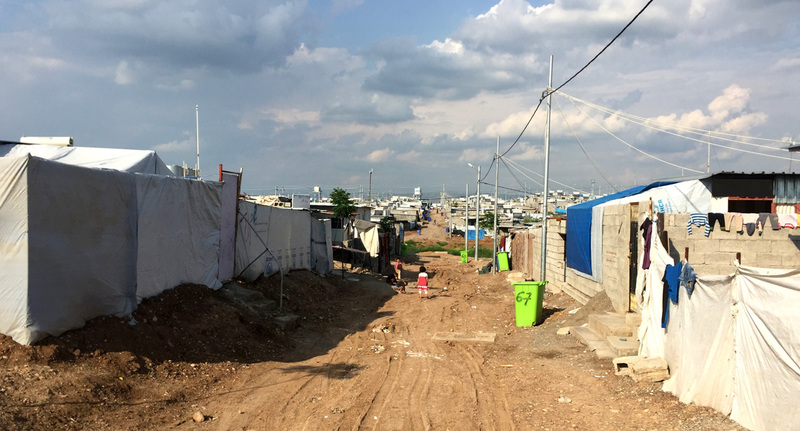 These refugee camps in Iraq do not receive a lot of attention. War and misery are happening all over Iraq too, so the locals have many things of their own to worry about. When I spoke to a local Kurd, he told me that most of the help the Syrian refugees receive comes from the Kurdish Government and it’s mainly just to satisfy the primary needs: pasta, rice, or milk. So I planned to bring food, but after speaking with several locals I stopped at Erbil’s bazaar to buy two bags of 30 different toys as well. The only way to get to the refugee camp is by car. Shafia, who was the receptionist at the hotel I stayed at, introduced me to a friend of hers who could take me to the camp by car. The driver turned out to be a young Syrian man named Blend. On our way to the camp, I spoke to Blend as we passed green fields, wheat plantations, and shepherds wandering them in the distance with their sheep. Ten years ago Blend moved from Syria to Iraq with his family in order to find better opportunities. This massive migration of Syrians into Iraq is actually nothing new, it’s been happening for more than a decade — all because of the dictatorial regime led by Bashar Al-Assad. Darashakran was huge — much bigger than I could have ever expected. It was fully militarized by local peshmergas (Kurdish soldiers) who were preserving the Syrians’ safety. There was a checkpoint at the camp entrance but, thanks to Blend, I was able to pass with my supplies without any trouble. I had food and toys, I was more than welcome at the camp. Once inside, Blend pulled the car over and I went across the street to offer a toy to a Syrian girl who was passing by. She took it shyly and went quickly to her mother. Soon a few other children approached and timidly picked up a toy. At first, everything went smoothly but within a few moments, I was swarmed by a massive crowd of people asking desperately for a toy. They asked politely, but eventually, the toys were grabbed from my hands. I ran out of everything I had brought in less than a minute and people were still asking me for more. I wished I had brought more for them, but I knew it would have been the same. Later, a couple of mothers came up to me and showed their gratitude with very honest smiles. That moment was the most beautiful of my life. They invited me for a meal but I refused, I felt they couldn’t spare it. I accepted some tea instead. Darashakran is like a small city not just in its size, but in its culture as well. Refugees have built shops, a school, and a mosque. 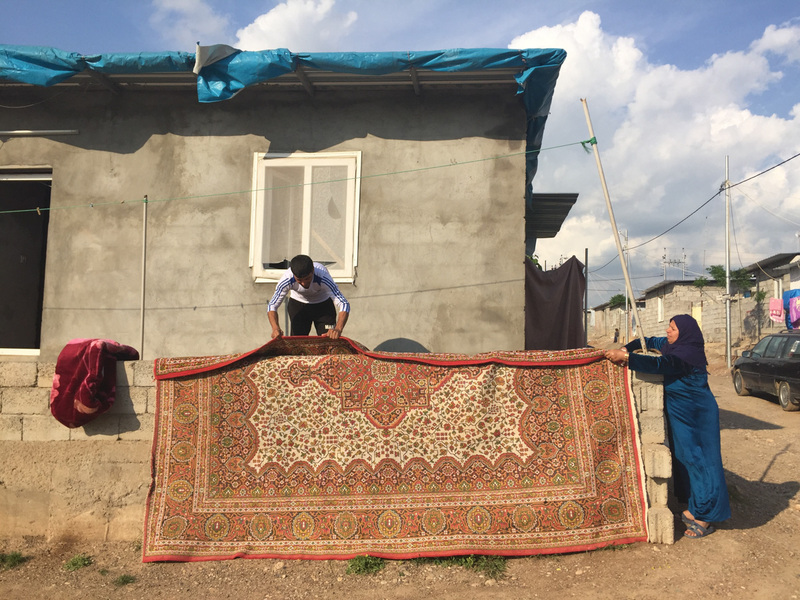 Families no longer live in tents but have built solid houses instead with materials provided by the Kurdish government. I think it’s easy to assume that Syrians have just started a new life for themselves at these camps, but the conditions were just as bad as I imagined. The streets were dusty and dirty, and there was no easy way for people to bathe. There was water supply and medical services provided by Unicef Iraq, but it was clear that this wasn’t enough. There were two things that really surprised me about my visit to Darashakran. The first was that children made up the largest population in the camp, they were everywhere. The second was that Darashakran was filled with men dressed in suits. Many Syrian refugees have high levels of education and were once part of Syria’s middle class. I met engineers, lawyers, these people had jobs in their home countries that required them to dress well. So they brought their suits to these camps. After staying at Darashakran well into the evening, Blend and I said goodbye. On our way back to the hotel, he took me to another camp which was meant only for wealthy Syrian refugees. The camp was filled with villas for people to live in, and there were cars. This was where Blend and his cousin’s family lived. We went to his house for shisha and tea. I asked Blend’s cousin how he ended up in Iraq and he explained that he was from a beautiful village in eastern Syria. When the Islamic State took over the village, his family had two choices: either submit to their rules or leave. That was the only story he could tell. This article was originally published at Against the Compass and is reposted here with permission.